You can use the in-built styles option to customise the way your Mind Map looks. Select the colours next to each branch number in order to change them. 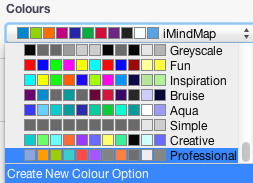 Your colour scheme will now appear in the drop down list of Colours and can be easily accessed on any of your Mind Maps by selecting it from here. The Graphics option allows you to set the shape and thickness of your branches and shadowing. The Layout option allows you to change the positioning of your branches. Once you have created your colour, font, graphics and layout options, you can combine these altogether to create a main Overall Style which will appear in the main M ap Styles area and can be accessed on any Mind Map you create. 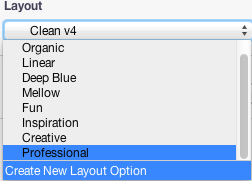 Ensure that the desired Colour, Font, Graphics and Layout options are selected from each of their drop down menus in the Design tab. Enter a name for your new Style . Your new Style will now be displayed in the main Style menu as seen below. 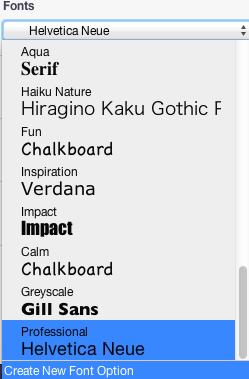 You can simply select it from this menu in order to apply the whole style to your Mind Map. Open a Mind Map and go to Design in the main menu. Whenever you now create a New Mind Map, this Style will be your Default Style. Note: It is not possible to set just a default Font or Colour, you will need to set a full Style for your Mind Map in order to achieve this. Open a Mind Map and go to Design in the toolbar. You can use the built-in styles option to customise the way your Mind Map looks. 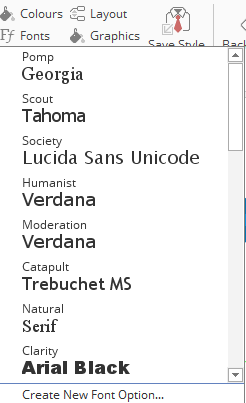 To create your own font option, select Create New Font Option. The Graphics option allows you to set the overall graphics used in your Mind Map, ranging from branch shadowing to branch thickness. 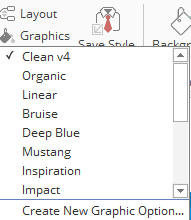 After choosing your graphic settings enter a name for the Graphic option and select Save. The Layout option allows you to change the positioning of your branches. This is like setting a default Smart Layout setting. 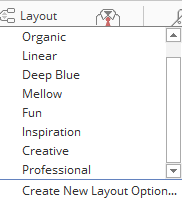 Ensure that the desired Colour, Font, Graphics and Layout options are selected from each of their drop down menus in the Styles panel.